We are now taking orders for your 2019 / 2020 Entertainment Books. You can order online via the order page link using your credit card or pop into our store to fill out an order form if you prefer to pay with cash or eftpos. Please support Diabetes Christchurch by ordering your copy through us today. We are raising as much as we can to support our cause, and we need your help! 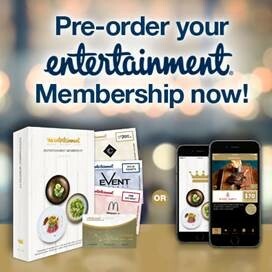 Order your NEW 2019 | 2020 Entertainment Book or Entertainment Digital Membership now. You’ll receive hundreds of valuable offers for everything you love to do, and help our fundraising at the same time!